I will start this post by saying that Christmas didn't quite turn out how it should have. What is a foodies worst nightmare? Not being able to eat and possibly worse still watching others eating. So picture this on the 23rd of December we did our main Christmas food shopping, little did I know at the time that the shopping trolley I was busy filling wouldn't be consumed by me, yes that's right from the 23rd till the 27th Dec I couldn't eat anything due to feeling poorly. It was a great pre-diet before the New Year, but not recommended however! Oh well, hopefully I have seen the back of it now. Don't feel too bad for me, on the plus side I now have a cupboard full of naughties that I plan to work my way through. I also got to have a wonderful meal on New Year's Eve which I will share with you in a bit. So on with today's post. 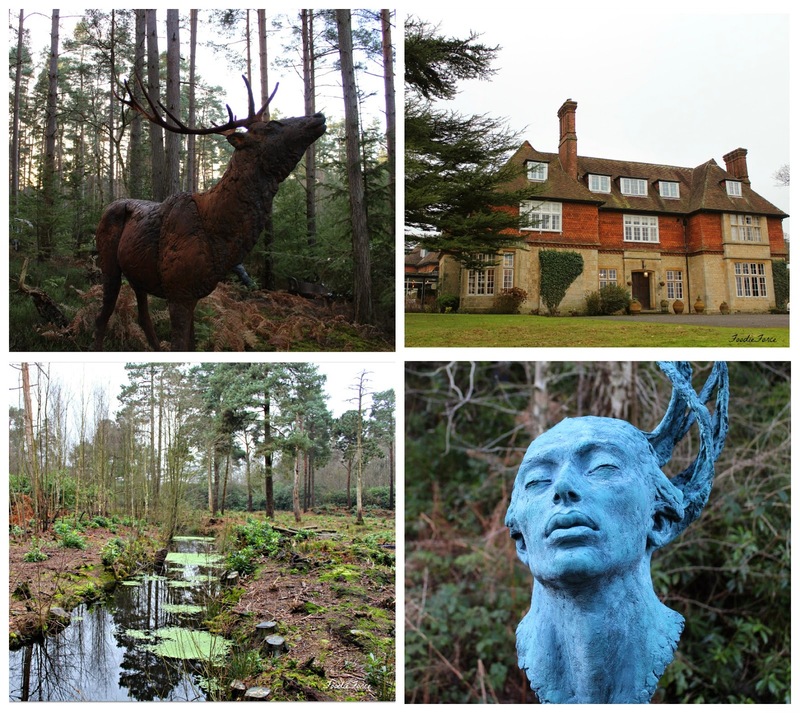 I was lucky as one of my Christmas presents to spend New Year's Eve relaxing and unwinding in Champneys Forest Mere. 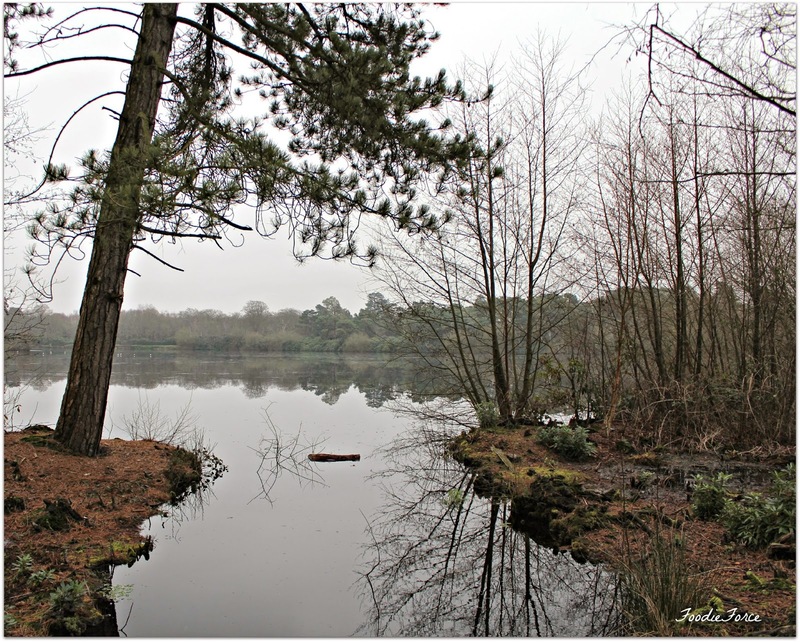 Forest Mere is an award winning luxury spa set in 150 acres in the secluded Royal countryside beside a beautiful lake. Driving up the tree-lined drive I instantly felt relaxed the spa is certainly in beautiful grounds. Our room for the stay was a suite which had a lovely amount of space, with large sofa, super king size bed, shower and bath. Our room was named after the Savoy Hotel who used to own the hotel. The room had doors that opened out onto the beautiful lake above. 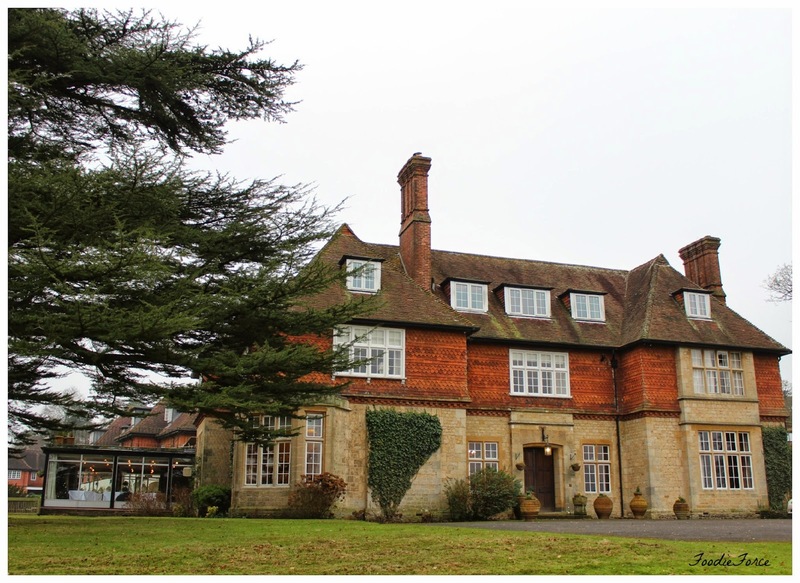 One thing that is a definite bonus for the spa is that everything is housed in one building, no going out in the cold here to venture to the spa. When we booked in we were issued with a lovely thick robe and not so nice white flip flops. My other half spent the whole time trying to walk quietly in them. It was hilarious all you could here was slap, slap, slap as he walked. Why on earth they do not supply guest with slippers I do not know. Maybe there is logic in there somewhere. The Spa housed a 25 meter pool, whirlpool,sauna, steam room and Thalassotherapy pool. Perfect for relaxing in and getting my strength back. The pool was a lovely size, bigger than a number of other pools in spas we have stayed in, but the temperature of it and the whirlpool was ridiculously cold. There are therapeutic benefits too not having the water too warm for muscles, but this was crazy cold. We were told that it was 29 Celsius but there is no way it was this temperature. Most of the people staying either didn't go near the pool or got in for a quick dip and got out. This really needs to be resolved as it would certainly be a reason that we wouldn't return. If I wanted a plunge pool I would take one. We had two treatments booked during our three day stay a Body Radiance and Thalassotherapy. The first was a Body Radiance which was wonderful, a body scrub was applied to smooth and brighten my skin followed by a relaxing massage. Afterwards my skin felt brilliant and the smell of orange was lovely. 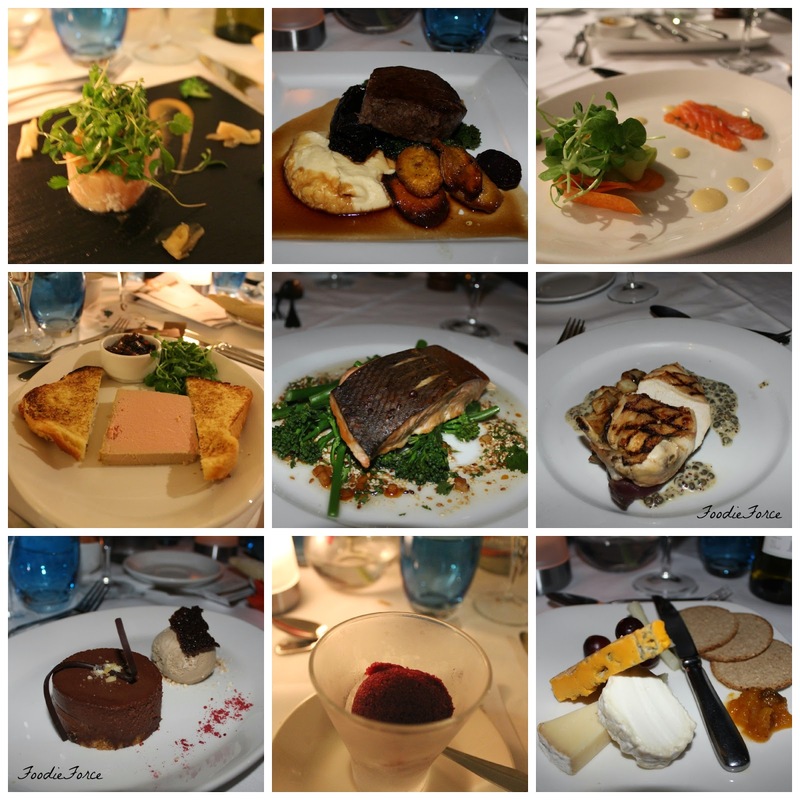 On New Year's eve we were treated to a foodie feast and great company of other guests. The quality of the food throughout our entire stay was wonderful. We had a truly relaxing and unwinding stay, that was the perfect way to bring in the new year. 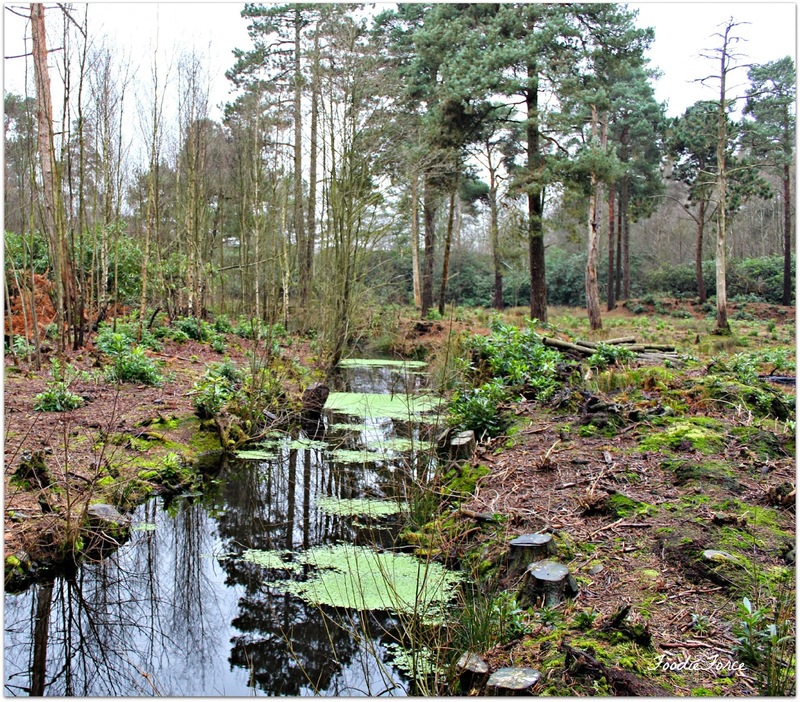 With a few adaptations we would certainly return to Champneys Forest Mere, it was in an idyllic and tranquil setting. 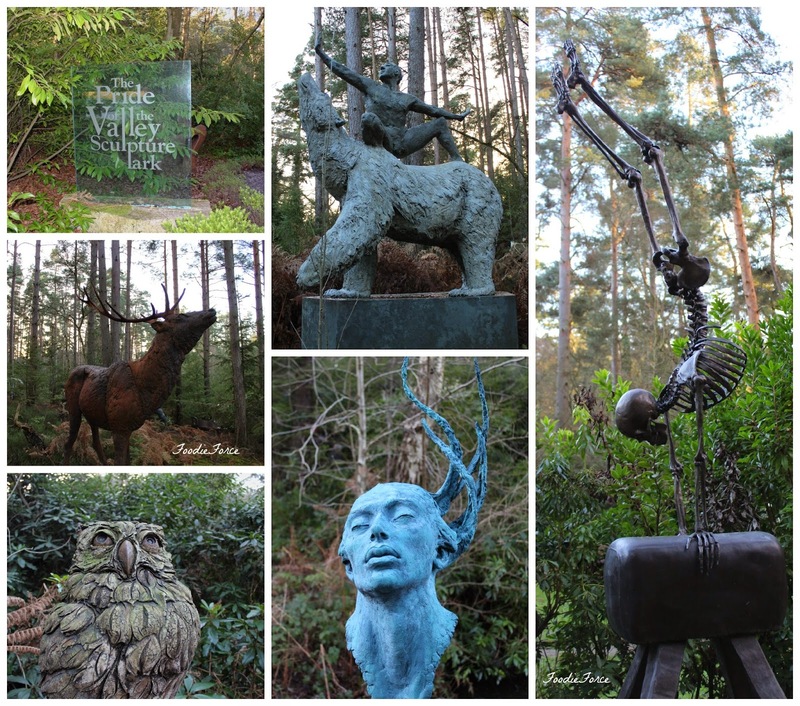 Close to Forest Mere and on returning home we visited 'The sculpture park' an amazing park which houses 600 modern and contemporary sculptures, all of which are for sale. However you might have to save your pennies for some which were priced at well over a few hundred thousand pounds! 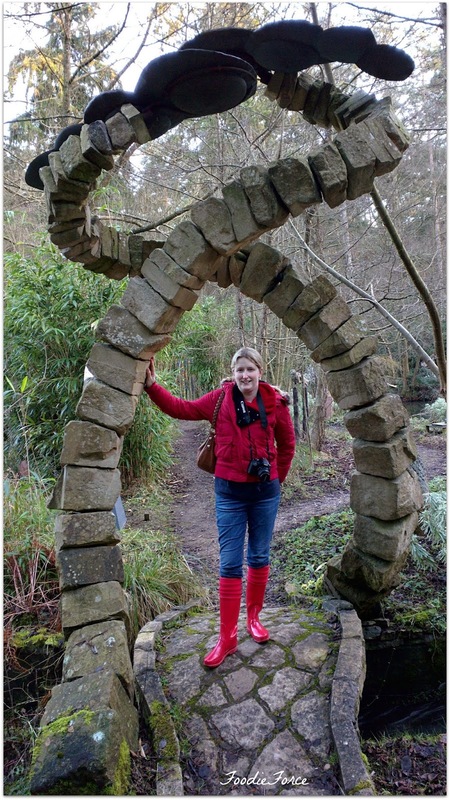 The sculpture site is wonderful and definitely worth a visit, it had some superb sculptures and we really enjoyed walking round the park. Wishing you a wonderful New Year. Share with me how you spent Christmas and the New Year in the comments below. Argh no! I can't believe you were sick over Christmas .... so unfair :( There was one Christmas when I was very poorly and being sick all day so missed present opening and lunch ... but it was back in my sillier years and alcohol was to blame so I can't really get anyone to feel sorry for me about that! At least you got this lovely present though. This is my favourite kind of present - and to go away over New Year sounds great to me, it can be a bit of a "nothing" time so it's good to have something fun to do. Hungover sickness is the worst to some extent having no one to blame but myself would have been better, was left feeling rather sorry for myself. Oh that's such bad luck that you were ill over Christmas :( At least you got to have a lovely New Years though - it looks so relaxing. I spent New Years skiing, which was great fun, but not exactly relaxing! Oh no, sorry to hear about the sickness! The spa looks beautiful though and it's a bit funny about the slippers. I would have been mad about the pool as I love swimming and hate it when it's too cold to get into! Glad to hear you are better now. I love the look of the sculpture park and the blue man! Oh my gaaaad you have definitely convinced me 100% that I need to go here! Firstly, beautiful photos! Secondly oh my god the food. Third, I'm a bit of a weirdo and like cold pools :p I don't really like swimming in warm water, it makes me feel like I'm drowning haha. Sorry you weren't feeling well over Christmas, but this looks like a lovely consolation prize! 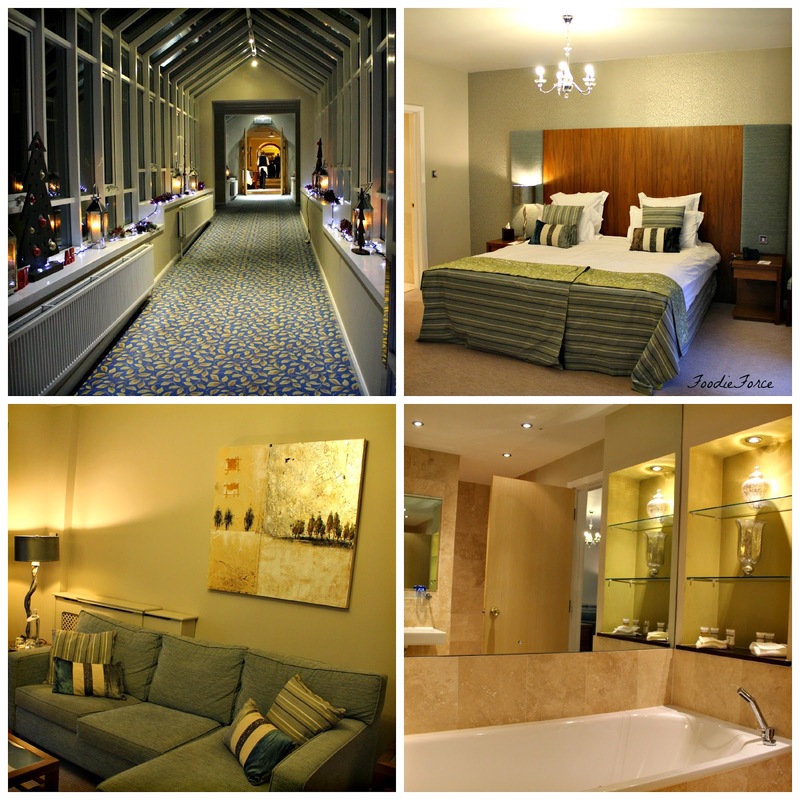 A spa day at a beautiful hotel & yummy food! Hope you're feeling back to your old self by now lovely. I love the woodland area surrounding the spa, and the food looked great as well! You look like you had an amazing new year Lucy! Really enjoying catching up on all the blog posts I missed while I was MIA! I think I need a spa treat at some point soon, this looks truly relaxing and I'm sure very well deserved!